As important as the movers who show up at your door on moving day are the trucks that take your goods. Here is a chance for you to meet the fleet – after all, one of these big boys is your additional mover on moving day. This is a reliable and durable and part of our team. She shows up for work every day, ready to work, without a complaint. She is a member of the Priority Moving family since 2012. 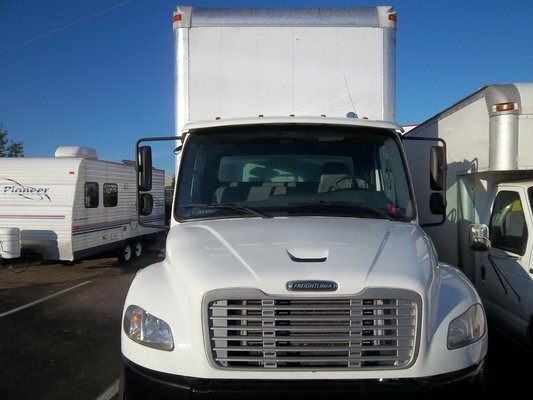 This truck is known for its performance and it is very accommodating, so you need not worry when this truck is on call for you. With a 26 foot box with 9 foot high inside walls it can fit large households full of goods. The 26-foot box truck is the largest truck available for in-town household moves. The crew often refers to this truck as “Betsy”. 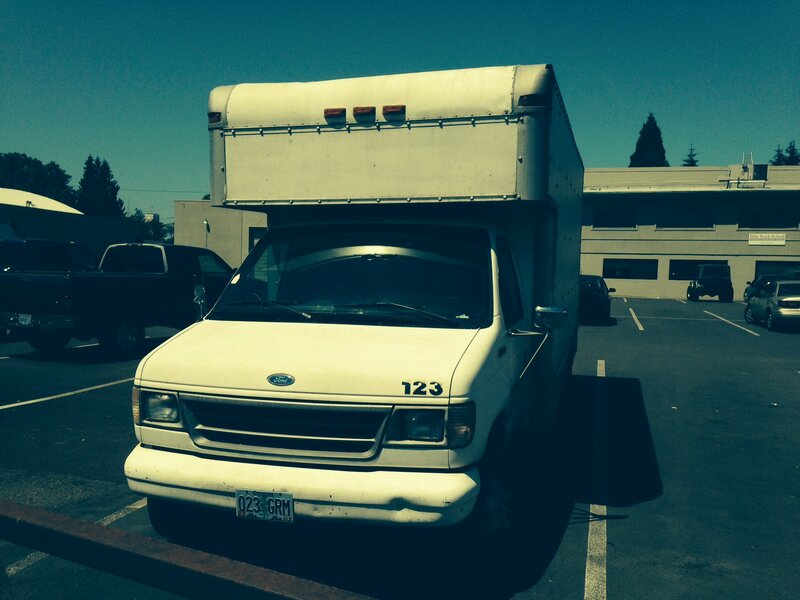 This is our first 26-foot box truck. He joined our family in 2010 and he’s been a great part of the team ever since. He has a lift gate and a walk ramp making this our most versatile truck. With a 24 foot box and 8.5 foot high inside walls this is a very accommodating and nimble truck. It has a 5.9 Cummins engine making it one of the most reliable workhorses in the industry. This was our very first truck which we picked up in 2009. He’s got a 15 foot box with and additional 3 foot of overhead cargo space. It’s very comparable to a 17’ Uhaul truck. This is our most nimble truck and we often rely on it to navigate tight areas with restricted access such as The Pearl District in Portland Oregon. 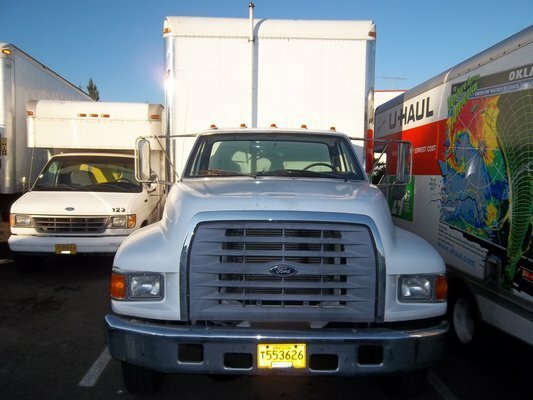 This truck is a perfect fit for 1-2 bedroom apartments. Here are some of the other crucial parts of our team – without these items we could not do our job the way we do it on a daily basis. All of these items are included as a part of your move. We like to call these our ‘red carpet.’ We literally roll these out for you on moving day. These not only protect your floor from the elements, but they also keep scuffs and damage at bay. These neoprene runners conform to all sorts of surfaces, so if they need to go down stairs or roll down a hallway, they can adapt. On moving day, these are provided for you as part of our service. It is our job to get everything out of your new home and into the new one without damage – and that includes damage to your walls and door jams. We take the time to protect all door jams so we can keep up the hustle and efficiency of your move without having to worry about damaging either your old home or your new one. We wrap all of your loose items and furniture in a combination of paper pads, commercial grade moving blankets and shrink wrap. We do not use tape to secure the pads or blankets on your items. Instead, we use commercial grade shrink wrap. This holds everything together really well, but also makes it easy for us to remove it once we get to your new home. To learn even more about what do, or to schedule a free, in-home estimate, contact owner Josh Dudleston today! Whether it’s local or long distance, residential or commercial, we are dedicated to providing the best service. 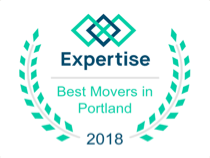 We are skilled and experienced at moving even the most unique of items, so you can rest assured that your most precious belongings are in good hands.